I came to them through an obsession with the mysterious boxes of Clive Barker's fiction and Peter Faberge's gentle ornamental eggs. 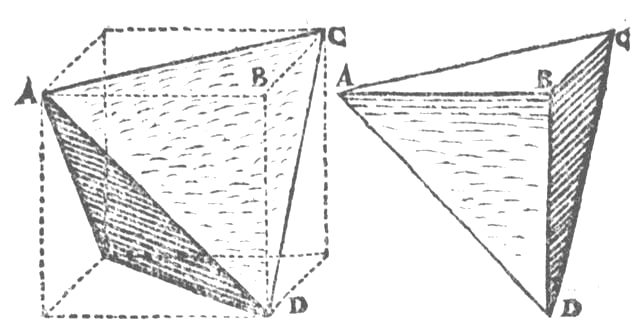 For me, each formed one point of a triangle completed by Gray's work. Lucas Gray was a mathematician, born in Hespeler, Ontario, in 1949 and dead in 1978, succumbing to Hodgkin's lymphoma while completing his doctorate at Waterloo. He constructed eight puzzles, seven of which were found among his effects. His mother did not wish to speak to me, but described them as "the unremarkable products of a hobby." The first five puzzles are a pyramid, a cube, a diamond, a dodecahedron and an icosahedron. 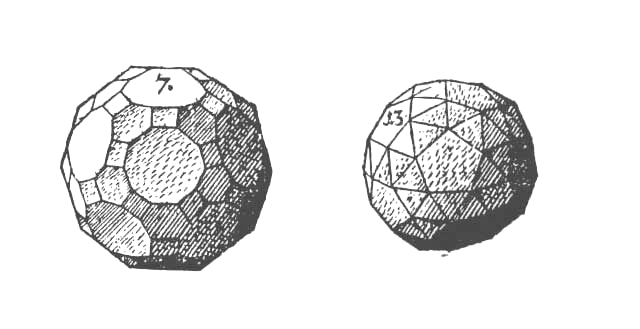 These represent the five platonic solids, which influenced the german astronomer Johannes Kepler, author of the laws of planetary motion. His scientific discoveries replaced the belief that our solar system traces a nest of perfect circles. 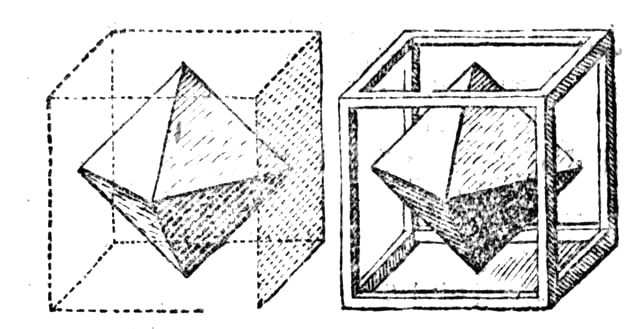 Gray's pyramid and cube are simple to put together, like Soma cubes. The diamond is a difficult interlinking disassembly puzzle. The dodecahedron is more complex, and the icosahedron will lose most: it took me hours to defeat it. In his incomplete doctoral thesis, Gray argued that Kepler's brilliant work could not have been formulated without a systematic understanding of gravitation. Mainstream historians, however, credit that other achievement to Newton, working decades later. Puzzle six is a complex sequential movement puzzle that moves between two configurations. 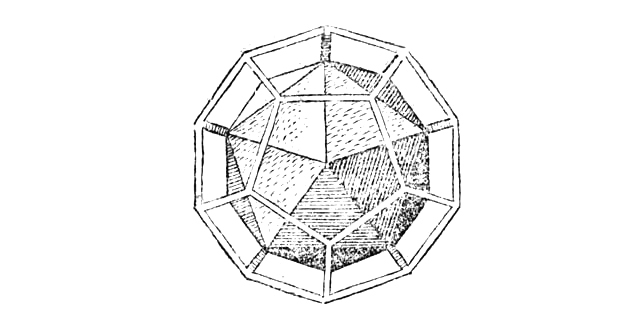 One of them presents a smooth dome on the outside, with its interior a spiky collection of angles, like a geode. The seventh is a large and delicately curved puzzle box. Though reminiscent of Chinese boxes, the sides unfold to form a bowl instead of detaching. His eighth puzzle was missing. I knew of it only because Gray mentioned it to a friend. I spent years looking for it, in fits and spurts. The solution I found in a letter dating to the late 1970s. He wrote it to a professor, whose daughter contacted me after I gave Gray an oblique mention in a Wired item about unsolved technical mysteries. "It really is just a hobby. Circling the square, if you will," Gray wrote, four weeks before he died. "I wanted to build a puzzle made from puzzles, the solids. But I found myself cheating in increments: first a frame in the middle, then the whole thing hollow. Kepler would not approve, but for me, it will have to do." 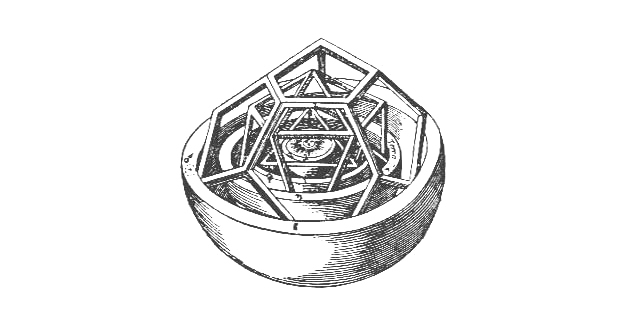 Puzzle eight, of course, was to combine the rest to form a single harmonious sphere. Success eluded him. The result resembles a wooden model of the Death Star, skeletal and incomplete. Given the allowances he permitted himself, and modern computer modeling, it would now be possible to create a set of puzzles that would fulfill his plan. So would end Gray's mystic science, a match for occult fiction and sublime art. Though it is not my place, or anyone else's. "My son. He was remarkable," his mother said. "You'd never know, because all you care about are those things he made." But Gray's shapes echo their creator. They solve themselves, one way or another.